The other day I was doing some strudel research online, when I stumbled on a genius recipe for a savoury one. I can't believe I've never thought of this before, because strudel/anything encased in pastry is one of my favourite things! 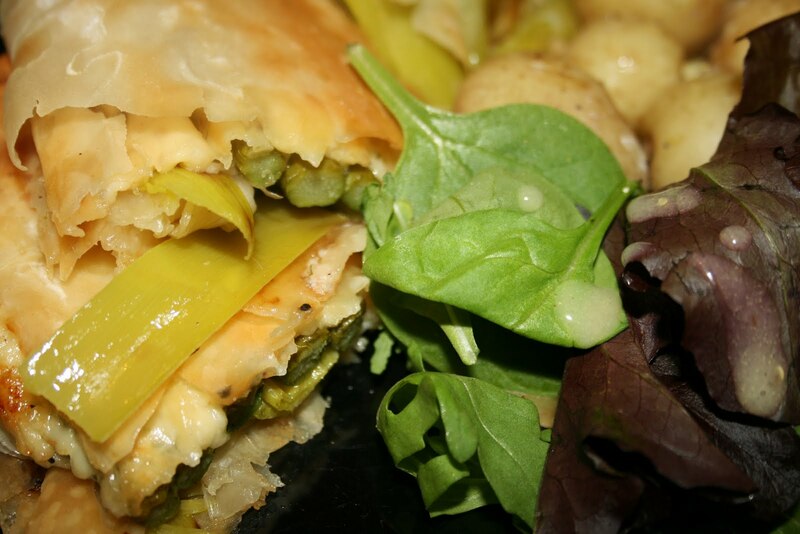 So I thought I'd try it with two of my favourite vegetables to make the ultimate savoury strudel. It came out really well, and looks quite fancy and interesting too, so I'll probably break out something similar for my next dinner party/Christmas. Again, I'm not very good at serving food! 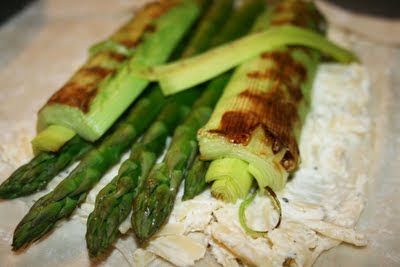 Preheat the oven to 200 degrees, then trim the leeks and boil them whole with the asparagus for 4 minutes. Mix together the cheese, mascarpone and lemon juice and season well. Lay two sheets of filo pastry on top of each other on a baking tray, then cover with a quarter of the cheese mixture, repeat for the other 3 strudels. 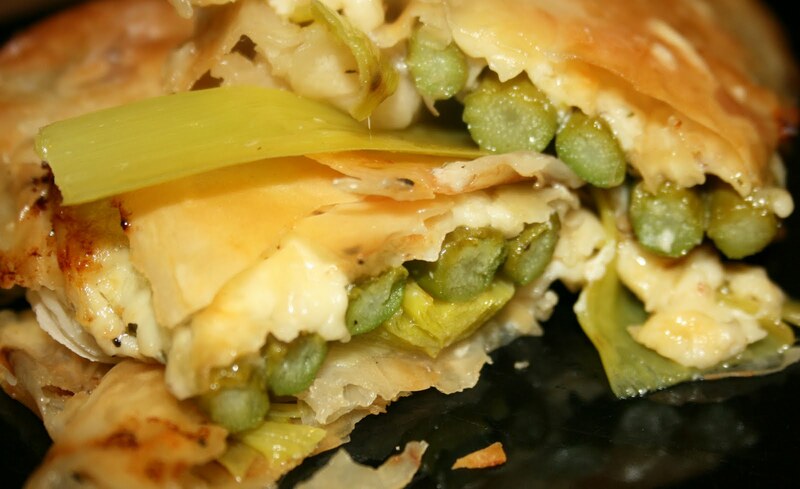 Lay the asparagus and leeks on top of the cheese, fold over the bottom edges, then fold the other sides in so it looks strudely. Turn it over so the folds are underneath, give it a milky wash, then bake in the oven for 20 minutes. Serve with salad and buttery new potatoes and enjoy!